Alan Bennett's multi-award-winning drama is broadcast live from Nottingham Playhouse. It’s 1786 and King George III is the most powerful man in the world. But his behaviour is becoming increasingly erratic as he succumbs to fits of lunacy. With the King’s mind unravelling at a dramatic pace, ambitious politicians and the scheming Prince of Wales threaten to undermine the power of the Crown, and expose the fine line between a King and a man. Written by one of Britain’s best-loved playwrights Alan Bennett (The History Boys, The Lady in the Van), this epic play was also adapted into a BAFTA Award-winning film following its premiere on stage in 1991. 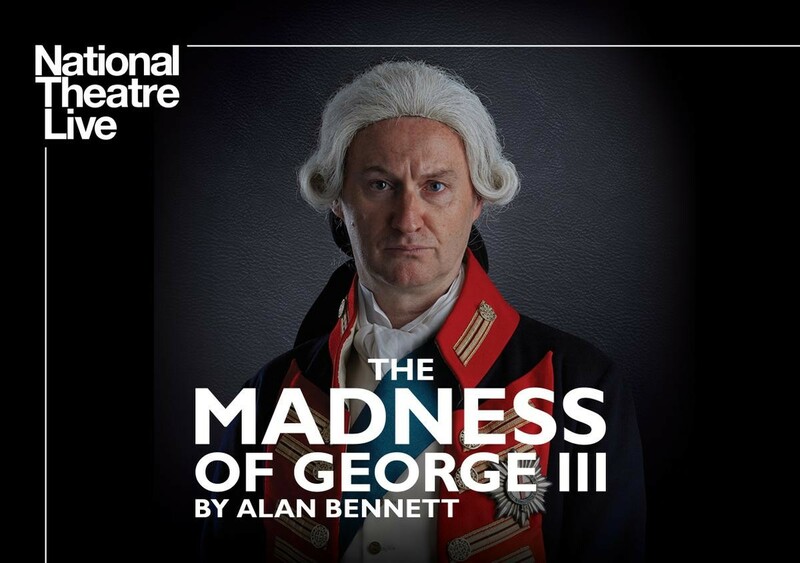 The cast of this new production includes Olivier Award-winners Mark Gatiss (Sherlock, Wolf Hall, NT Live Coriolanus) in the title role, and Adrian Scarborough (Gavin and Stacey, Upstairs Downstairs, After the Dance).